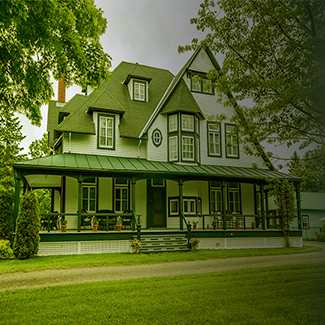 Real Estate | Agritek Holdings, Inc.
26 Rue King is a beautiful, historic home in the heart of ST-Pacome, Province of Quebec, Canada. Built in 1903, the home has been fully renovated and thoughtfully decorated to provide guests with an opportunity to appreciate the historic charms of the past while enjoying the modern comforts of the present. This 15-Arce property has 8 bedrooms, 6 bathrooms, and a private wine cellar making it the perfect place to gather with family and friends for a weekend gateway, special occasion, or corporate retreat. The 8 individually decorated guest-rooms are designed to emphasize both privacy and luxury while maintaining the intimate atmosphere of a French country side estate. On Property Amenities include: Fresh breakfast each morning, Fully equipment chefs kitchen, High Speed Internet, and Business Center. On Property Activities include: Private Wine Cellar and Tasting Events, Private or Group Cooking Classes lead by local chefs, Outdoor Swimming Pool with Lounge Area, and Intimate Reading Room. Available Activities: Horseback Riding, Golf and offsite tours to Quebec and Montreal Cities; among more. Several common areas and 15-acres are available for special events and corporate retreats. Agritek Holdings, Inc. presently owns and operates an 80-acre, approved cannabis farm for the medicinal and recreational sector located in Pueblo, Colorado. Plans for the 80-acre parcel include the cultivation farm to be sub-divided into 5-acre parcels and designed with infrastructure specifically for individual licensed cultivators and manufacturers in Colorado. The Company owns the entire 80-acres as an asset including water and all mineral rights. 80-Acres that can be split into individual five (5) acre plots for multiple licensed cultivators, extraction or testing facilities. Potential revenue streams through real estate leases, equipment leasing and equity interest of multiple tenants through infrastructure investments in green houses and extraction equipment leases. Land approved for industrial Hemp grow for research and development of multiple product lines. Agritek Holdings, Inc. presently is the exclusive operator and licensee of a 15,000 sq. ft. cultivation facility with initial approval for a cultivation license by the Department of Health in Puerto Rico. Located in San Juan, Agritek Holdings, Inc. will be the exclusive consultant and operations partner for the cultivation and manufacturing operation, providing funding, infrastructure build out and cultivation experts from California and Colorado for one of the largest operations on the island. The facility when completed will be state of the art including security, seed to sale systems and use proprietary cultivation technology, and will offer all Agritek Holdings, Inc. brands from vaporizers to edibles exclusively. San Juan, Puerto Rico cultivation facility exclusively focused on grow infrastructure and extraction. 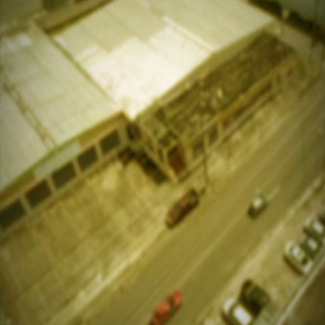 Largest licensed facility in the heart of San Juan centrally located to all provinces and tourist cruise facilities. Cultivation, Extraction, Research and Product Development. Global import and export of cannabis CBD products. Agritek Holdings Inc. (OTCQB:AGTK), is a fully integrated, active investor and operator in the legal cannabis sector. Specifically, Agritek Holdings provides strategic capital and functional expertise to accelerate the commercialization of its diversified portfolio of real estate holdings, licensing agreements, royalties and equity in acquisition operations. Agritek Holdings, Inc. does not directly grow, harvest, distribute or sell cannabis or any substances that violate or contravene United States law or the Controlled Substances Act, nor does it intend to do so in the future. Copyright © 2017 Agritek Holdings, Inc. All Rights Reserved.